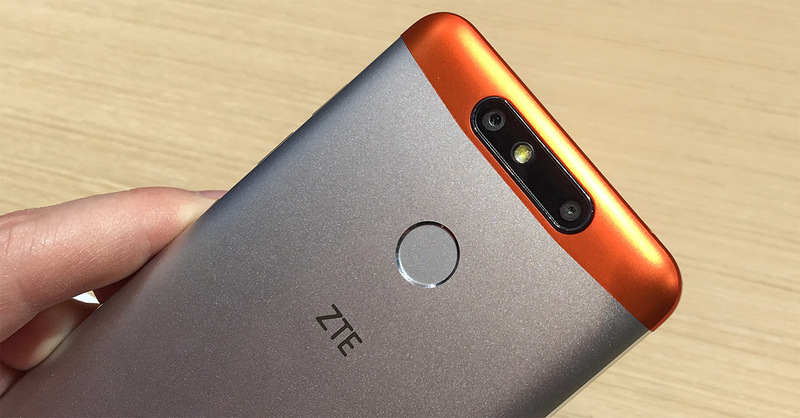 After announcing the Blade V8 Pro at CES 2017, ZTE added two more phones to the Blade V8 family: the Blade V8 Mini and Blade V8 Lite. Both phones are smaller than the previously announced models, featuring 720p 5-inch IPS LCD screens, and they target lower price points. The Blade V8 Mini uses the same Qualcomm Snapdragon 435 SoC as the Blade V8, with 8 A53 CPU cores that top out at 1.4GHz. The Blade V8 Lite swaps to a MediaTek MT6750 SoC, which also has an octa-core A53 CPU configuration that reaches up to 1.5GHz. Given the similarities, all three phones should deliver similar system performance, but none of them will excel at gaming. Both the Mini and the Lite come with 2GB of LPDDR3 RAM and 16GB of internal storage, which is somewhat limiting, but storage is expandable via microSD card. While both new phones come with a 5MP selfie camera, only the Mini has a front-facing flash feature, which is far from ubiquitous and nice to see on a lower-cost phone. The Mini also includes the same dual camera (13MP + 2MP) module as the Blade V8. The second 2MP sensor helps capture depth information that can be used to apply a bokeh effect to images or to adjust the object of focus after a photo has been taken, features usually reserved for more expensive phones. The smaller, one-hand friendly V8’s have a lightly-textured aluminum chassis with plastic RF windows at the top and bottom. 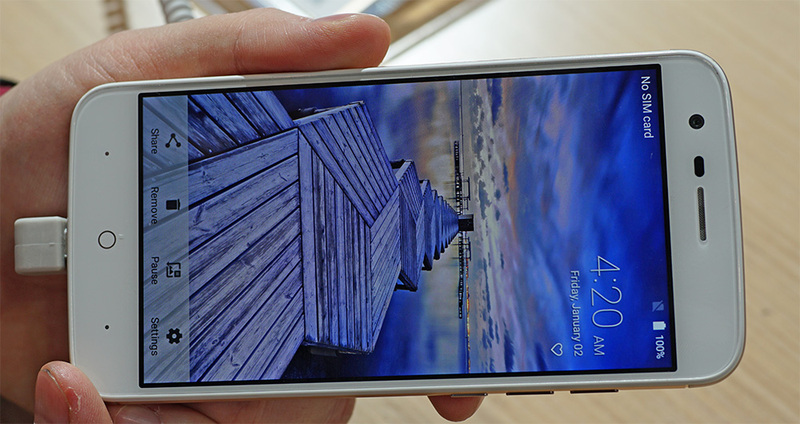 There’s an inset fingerprint sensor on the back of each too. The rear camera module, which sits proud of the back surface, is an elongated oval that’s centered at the top of the phone. In the Mini’s case, there’s a camera in each corner with an LED flash in between but offset from center. The Lite uses a similar design for the camera module, with its lone 8MP sensor offset to the left of the centered flash. Both phones use backlit capacitive navigation buttons. The larger, circular home button is a nice visual touch, and the other buttons are simple dots, allowing for customization. 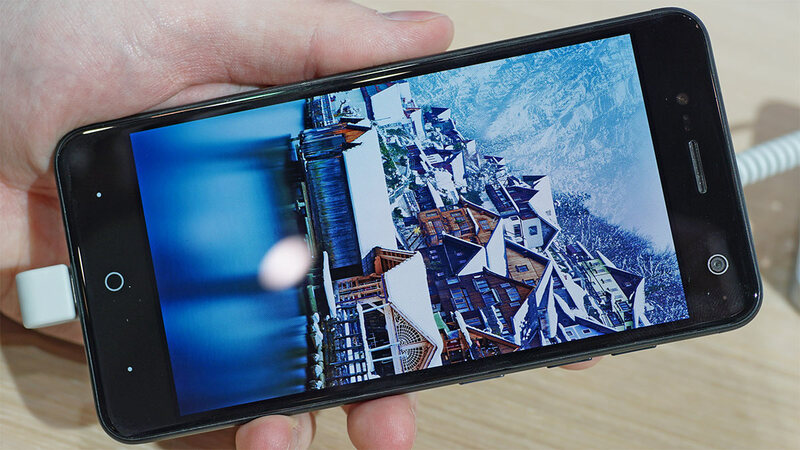 There’s a black border around the screen that’s noticeable on the color combinations with white fronts, but this is typical for phones in this price bracket. 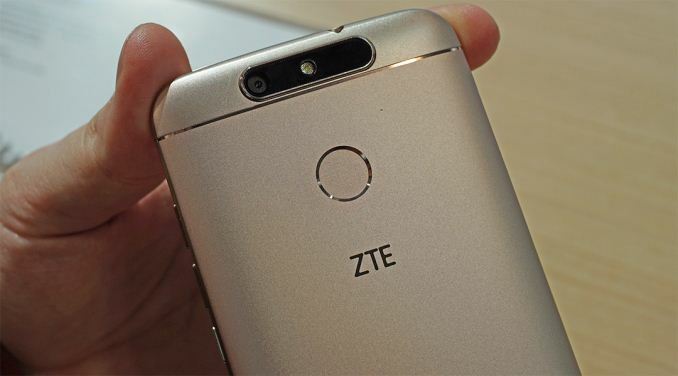 All of the phones in ZTE’s Blade V8 series, except for the mid-range Blade V8 Pro that uses USB Type-C, still come with microUSB ports. There’s no 802.11ac Wi-Fi or NFC either, although they do come with Bluetooth and FM radio. It’s nice to see the Mini and Lite ship with Android 7 too. 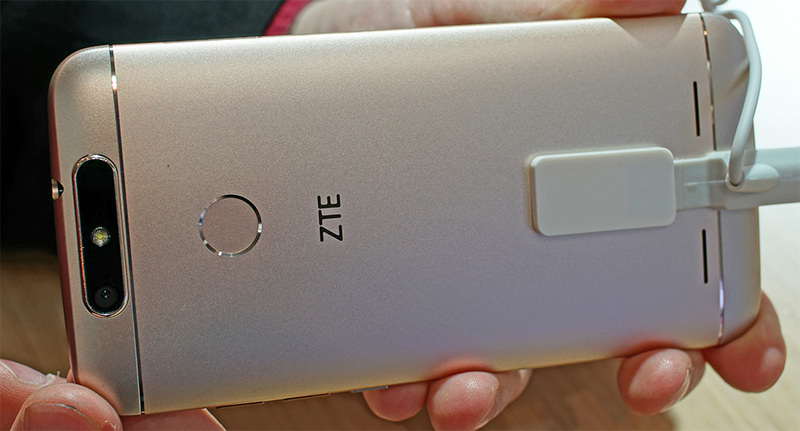 The ZTE Blade V8 Mini in silver, gold, black, red, and pink is coming to select markets in Asia and Europe, while the Blade V8 Lite will be available in Italy, Germany, and Spain in silver, gold, and black colors. Pricing is not available at this time, but should be well below $200 USD considering the Blade V8 Pro’s price.